Please Support Our Efforts to Find a #Cure4Cindy! Cindy was at a friend’s house, chatting on her phone at the kitchen table. Her friend’s stepfather wanted her off the phone, so he blasted her with an air horn. Cindy felt a burst of pain in her ears. Within days, she perceived sounds as amplified and painful. She could no longer attend school, where the schoolday noises were too loud for her. Cindy was unable to start ninth grade at Brandywine High School with her friends, and instead attends school online. 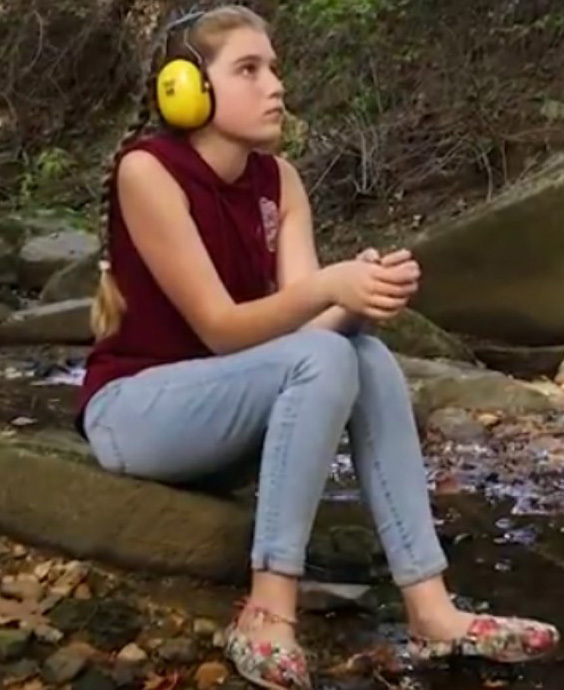 Cindy now suffers from hyperacusis, or noise-induced pain. All but the mildest noise feels like a knife stabbing her ear. Cindy was on the TODAY Show! No available treatment has helped Cindy, and there is no cure. She copes as best she can with earplugs and earmuffs, which keep the pain from worsening but make it hard to hear and communicate. She misses seeing friends and eating out with her mom, Laurie. Please help Cindy live a normal life, free from noise-induced pain. Share Cindy’s story and let’s find a #Cure4Cindy! Hyperacusis with pain, sometimes called noise-induced pain, is a new branch in the field of auditory pathology. The primary cause is noise overexposure. An acoustic trauma, or noise injury, can result from one loud noise (airhorn, whistle, gunshot) or from constant exposure over time (concerts, headphones, power tools). Other causes are head or neck injuries, ototoxic drugs and some diseases, including Lyme disease. Though noise overexposure usually causes hearing loss, in some cases it does the opposite, making noise seem too loud rather than too soft. Hyperacusis is often accompanied by tinnitus, or ringing in the ears, and a pressure feeling called aural fullness, along with burning ear pain. The condition sometimes improves — but it readily recurs from a noise as ordinary as a passing siren, a barking dog or even a clanking dish. Share Cindy’s story with your network via e-mail and social media. The hashtag is #Cure4Cindy. Follow Cindy on Facebook.com/Cure4Cindy and on Twitter at @Cure4Cindy. I feel sad for Cindy. I also suffer from Hyperacusis with the same pain. I had a lot more years without this condition then she has. I hope we can find a cure or a drug, which can deal with this awful situation. I know we can, if we want. Prayers to all the sufferers. I have hyperacusis. Sound therapy (wearable sound generators) and pink noise CDs at slowly increasing volume have helped me a lot. It hasn’t been a cure for me, but it does work in reducing / eliminating pain and increasing tolerance for me. It has been slowly, and have suffered repeated relapses due to loud noises, but it has worked for me. If you have not given this a lot of effort already, I would recommend it. I know it doesn’t work for everyone. E-mail me if you want to. This disease is terrible, I feel for you. Where are you located? Have you heard of the Tomatis Method? 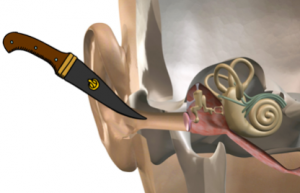 If used wisely, it can allow the protective mechanism of the mid-ear to start functioning again. I am based in California and would be willing to see her for free. It would involve our own listening test, and extremely soft and gentle ear listening retraining. A study of the results of two patients in the American Journal of Otolaryngology (https://www.ncbi.nlm.nih.gov/pubmed/25456168) and another study describing the results of six patients in the journal Otology and Neurotology (http://cdn2.hubspot.net/hubfs/2098840/Minimally_Invasive_Surgery_for_the_Treatment_of.97204%20(1).pdf?t=1501769210251). Please have Cindy and mother telephone me and I’ll describe how I completely and permanently reversed my hyperacusis. I ain’t gonna help that ain’t my problem ?? I think we would all like to know how you completely and permanently reversed my hyperacusis… please share. May i call you? or email you Please. My hyperacusis is severe since 5 yrs ago. Living with this is a misery. My husband Geoff suffers tinnitus and hypercusius after using a brick saw with ear protection that obviously not enough. His life is now changed forever. We need research that I hope one day he can enjoy life again without earmuffs and earplugs, which are his only tools to get through every single day. Cindy should make a claim against the friend”s stepfather. It should be covered by homeowner’s insurance which covers acts of negligence. I would like to work on adresssing this through ADA laws , music and noise in public places , hold music for calls made to services needed by people with disabilities are often inaccessible because of the phone system . My heart breaks for Cindy. 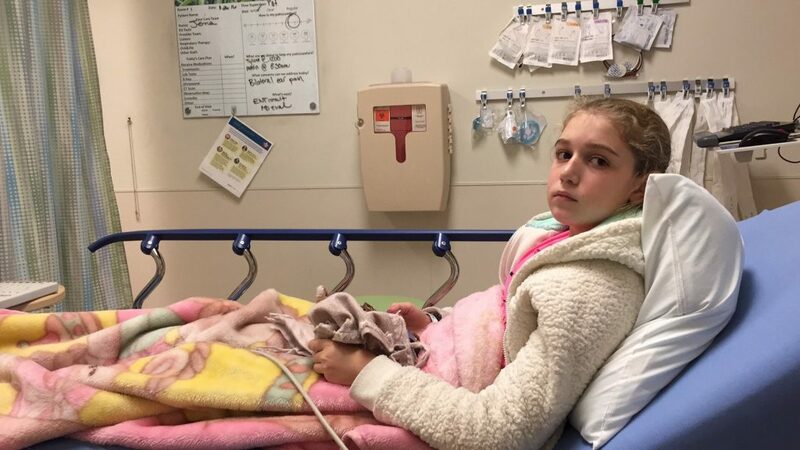 As well as finding a cure for hyperacusis , I wanted to ask if there is a GoFundMe set up especially for Cindy for her medical expenses/special school expenses etc.? I know she won’t want anyone’s pity, but if enough people knew about this, I’m sure they would want to help her personally. What a brave young lady, sending very best wishes to you and your family! On a similar note, I always think how damaging those darn hand dryers are in public bathrooms – they are SO loud, that cannot be good for any of our ears (particularly developing children’s ears) and they should be banned. If anyone has any info on what to do to stop them being installed all over, it would be appreciated. My heart breaks for you. I’m so sorry you’re going through this. Keep searching for answers. Hello, Cindy. My name is Hanna. I’ve had Hyperacusis since I was 12 years old. 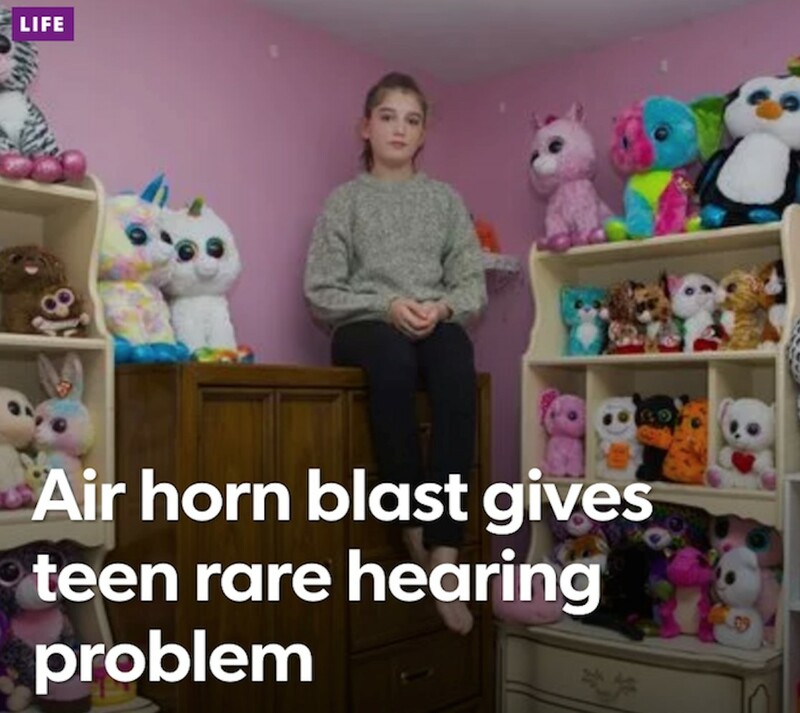 I’m 19 now and having had Hyperacusis all this time, I know exactly what you’re going through as a young person with this really terrible condition. I have a few tips for you. You may have heard them a million times over, I know I have, but hopefully, they can help. First, I wanna say you’re most definitely not alone, as I thought I was in the beginning back in 2010. And I’m so very sorry this has happened to you. Second, subtitles really, really help with TV watching and movies if you’re ever bored. Books are great, too. The ear plug that works best for me and my boyfriend (who also has Hyperacusis) is called Sparkplug earplugs and you can buy a big box on Amazon.com for around 25 dollars. This big box lasts me a whole year of constant use. I wear earplugs and ear muffs day in and day out. It’s a necessity. I was able to finish school and graduate high school through Penn Foster Online High School and am even working online now and living on my own. I wish very much I could tell you some magical cure, but for now, I know it’s unbearable, but please hang tough. You’re incredibly brave. You’ll have good days and bad days. If you ever need to talk or have any questions my email is thewriterishere16@gmail.com and I’m always available. Hey Cindy!! I am a hyperacusis survivor and I am officially cured now. I underwent a very rare form of hyperacusis treatment in Florham Park, New Jersey this year. I am living a hyperacusis-free life now and want to help as many others as I can. My friend saw the article in People Magazine and sent me the link. I want to get you in contact with the specialist who saved me and gave me my life back. I would be very happy to share my story and get you in touch with the help you need. Hi Laura, have you submitted the information on what has helped you to hyperacusisresearch.org? Use on the contact form on this site so they can get your info in front of other researchers. What was the treatment you tried? Hey Cindy–I’ve been a nurse for 25 years, and am very touched by your dealing with such a huge physical and life challenge so young. I don’t know what your family’s support system is, but from personal experience I’d like to suggest an online faith community that I personally know to be an excellent source of hope and strength in times of need: Elevation Church, based in Charlotte NC. Online you can listen at the level you want and when you want! And your mom could use some support too I’m sure….I am praying for you! And I will certainly support the research. Blessings to you in the coming year! I have always felt ear pain when subjected to loud sounds. I avoided loud concerts, when I was younger. I don’t attend fireworks displays. I often turn down TV and radio volume. 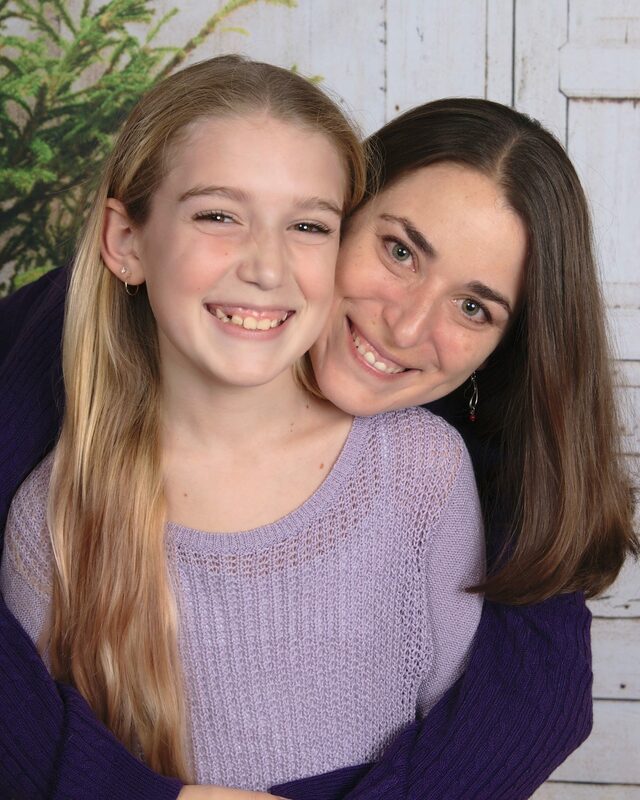 I’d never heard of hyperacusis, until reading Cindy’s story. Thank you for sharing Cindy’s story. Cindy, from what I experienced and the people I talked to there is no magic bullet. I guess since your young, go and try the the retraining therapy. I got severe hyperacusis after a concert in 1993( I was 25 years old). I kept going to loud places and it got worse. I couldn’t talk without ears hurting and had thousands of setbacks from everyday exposure. Today I can talk loud a little bit but I wear half cut earplugs. The minor setbacks don’t seem as bad. I WILL SAY DON’T OVER PROTECT YOUR EARS THEY WILL GET WORSE> go in front of the mirror and start talking out loud. As for people such as friends and family, forgive them when they make bad comments. Friends of mine all moved on and left me behind. A lot of them didn’t believe me or didn’t care to be around me. A good attitude is important. Honestly, I am still pissed off at this. I want to go to the movies and see Shania Twain in concert but I’m not. I don’t want to be laying in bed for weeks with my ears and head hurting. Take care. I also suffered from pretty bad hyperacusis after exposure to a loud noise, including ear pain. Although I was confronted with a lot of negative counseling, I learned after a while that hyperacusis can usually be significantly improved or even cured by using slow, purposeful desensitization of the auditory system. This is done by gradually exposing yourself to sound, such as everyday sounds, nature sounds and ‘pink noise’. Whilst it might be tempting to wear earplugs or earmuffs, this actually makes the symptoms worse in the long run as the auditory system becomes more and more hypersensitive in the absence of sound (although you should of course use hearing protection when sound levels are actually dangerous, as everyone should). After learning this and applying it in my every day life, my hyperacusis has very slowly begun to improve and continues to improve (although I am not quite there yet after about a year, it is quite a low process). I hope you, and others reading this, are able to find an audiologist who is qualified in this form of therapy, as there are many more aspects to it then I can describe in this short message. The road to recovery can be long and there can be set-backs, but it will be well worth it in the end to get your life back. Wishing you all the best! There is a Go Fund Me to help cure Cindy, please share it! Hi, Cindy! Thanks for acting as our spokesperson in recent years!! I can’t imagine having to live with this as a teenager! I have had hyperacusis with pain for over ten years now and am 41 with two adult children. They grew up having to be extremely quiet, not having friends over, I missed quite a few of their events, etc. so I know that this affects your entire family. I hope you appreciate your family for the effect this has on them as well. I pray for a cure, but know it will take time to see the effectiveness of any treatment. Anyway, I just wanted to reach out, because online is so often the easiest means of communicating. I’m really proud of you for being so open about your life with this condition. I enjoyed your cat watercolor on your vlog! And yes, the music was awesome! Shout-out to you for being awesome for all of us (not really shouting!)! There is surgery! The brilliant Dr. Silverstein at the Sarasota Institute saved my life in July, 2018. Check out Hyperacusis Hope on facebook. Hi, I have tinnitus and hyperacusis. I have not heard of any surgery as I have not had it long . Would you please send me the info. My email is iesr454@gmail.com thank you. Hyperacusis like tinnitus is not an ear problem. It is a noise perception problem in the brain. Charles Andrews MD (tinnitus sufferer for 27 years) hyperacusis associated with same problem. My cochlea was hypervibrating even under anaesthesia. Check our Hyperacusis Hope in Facebook. The brilliant Doctor Silverstein performed his Severe Hyperacusis surgery on me in July, 2018. He saved my life! Cindy, I have had the Severe Hyperacusis Surgery by the Brilliant Dr. Silverstein at the Silvrrstein Institute in Sarasota, Florida. It worked for me! I can work again. This Doctor saved my life. Check out Hyperacusis Hope in Facebook. Wellness Prayers, Cindy. I have had severe tinnitus and hyperacusis for just a few months now due to a injury at work. I don’t want to be negative, but there were days in the beginning I thought I didn’t want to live anymore. I plan to seek help and hope for improvement. I would be so thankful for any help as to what to do.I’ve been to ATA and plan to start treatment soon. Is this the best place. I read cindys story and I feel so bad for her,it breaks my heart! She is so young to have to suffer this torment. It’s easy to say to be positive but the reality is it’s hard to. I see here a lot of people who have improved. Please share how! Thank you so much,on behalf of cindys myself and others who suffer from this. I write you from Argentina. In 2013 i suffered a head trauma playing soccer (I was the goalkeeper). Since that, I’m suffering from strong tinnitus in my right ear, strong hyperacusis and fullness in both ears (Tonic Tensor Tympani Syndrome). I thought that I was the only person in the world with this desease. My story is very similar than yours. Don’t hesitate to write me.